NEW YORK—The guy manning the desk at Nancy Margolis boasted that the gallery’s current exhibit is the best show on view in Chelsea, and then qualified his statement by noting that the judgment was “according to the Internet.” The clever show is certainly a contender among the countless group “summer shows” in the neighborhood. The concept is not original—soliciting emerging and mid-career artists to interpret the work of the legends that came before them. 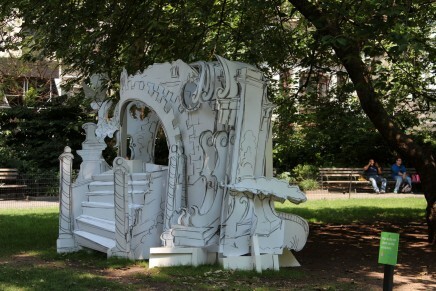 What sets the show apart is the volume and scale of the ask. 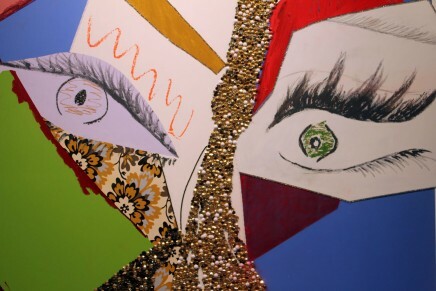 “Permanent Collection” includes small works by 130 artists (more than 30 are RISD alumni) who have selected one of 15,000 works in the Museum of Modern Art’s permanent collection to reinterpret. 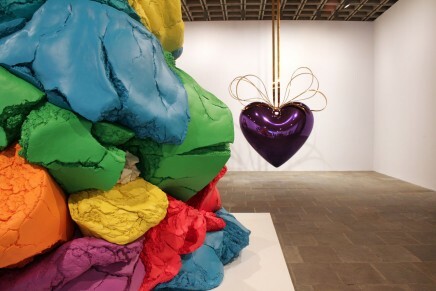 From the roster of artists the gallery chose to participate to the MoMA works selected and the manner in which the new versions are executed, the resulting exhibition offers a comment on the state of the art world. 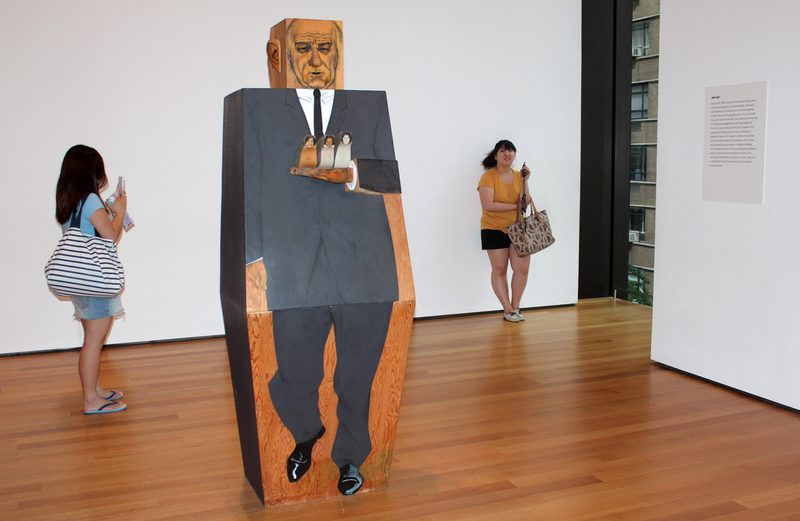 “Permanent Collection” is on view from July 12 to Aug. 4, 2012. 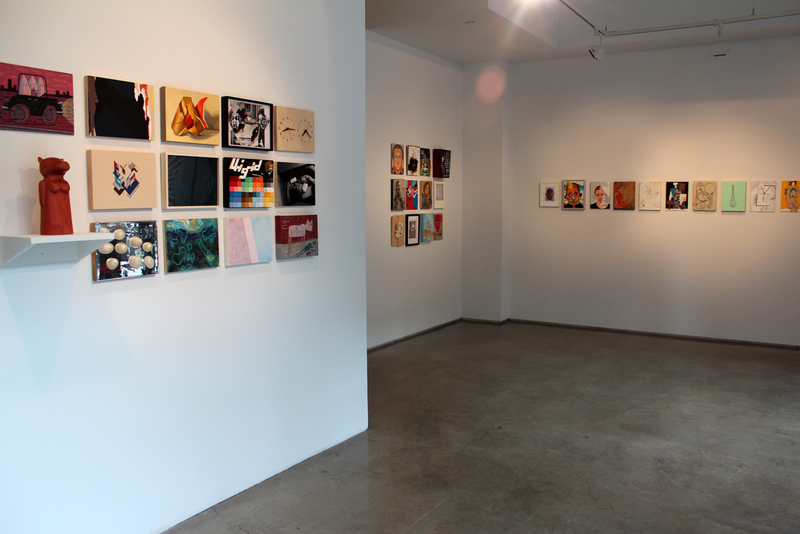 Above, “Permanent Collection” includes small paintings by 130 artists who have reinterpreted works from the Museum of Modern Art. 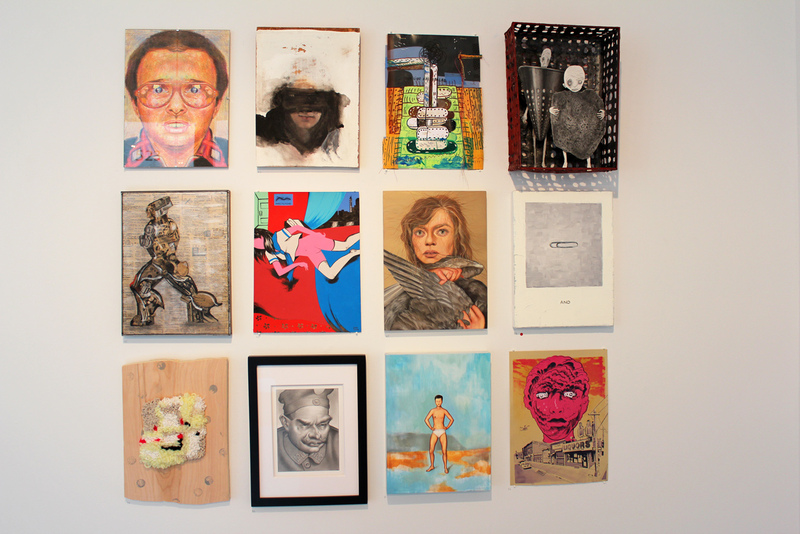 Top of page, from left, Works by Matt Leines (“Harlequin” by Pablo Picasso), Rodger Stevens and James Benjamin Franklin. 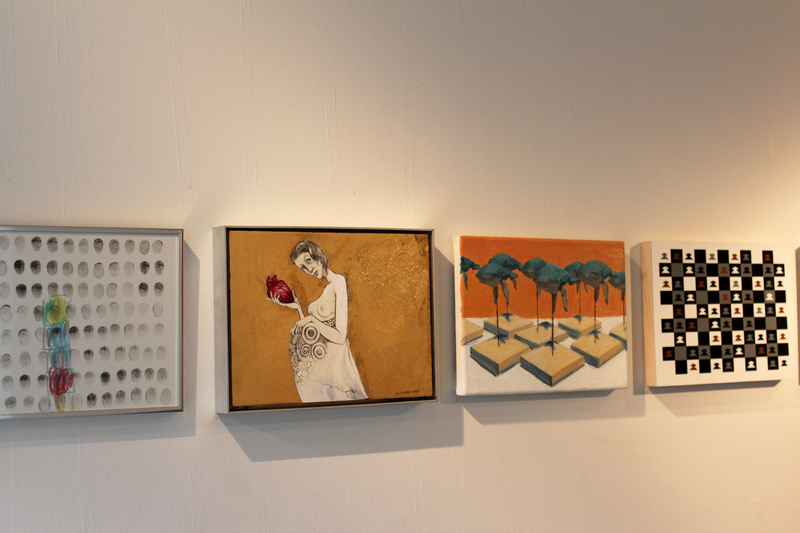 From left, Works by Sarah Moseley, Clifford Wun, Andrew Smenos and Jungular (“Horses Running Endlessly” by Gabriel Orozco). 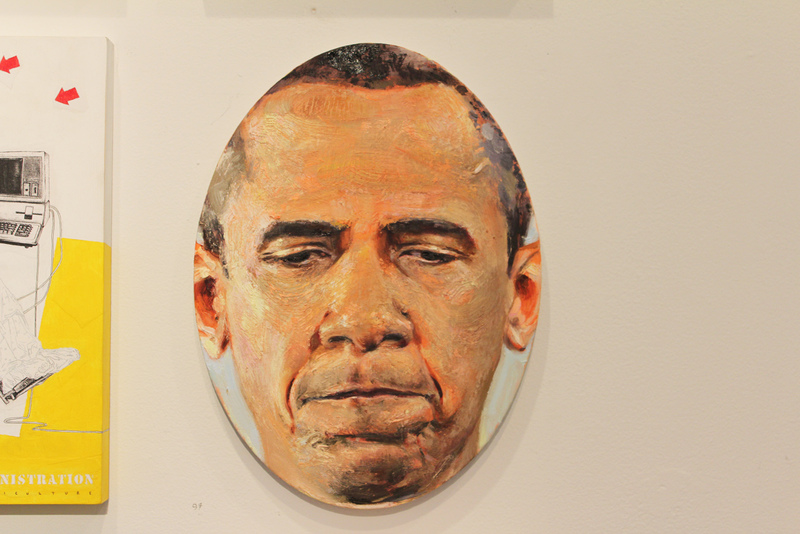 Portrait of President Obama by Robin Williams. 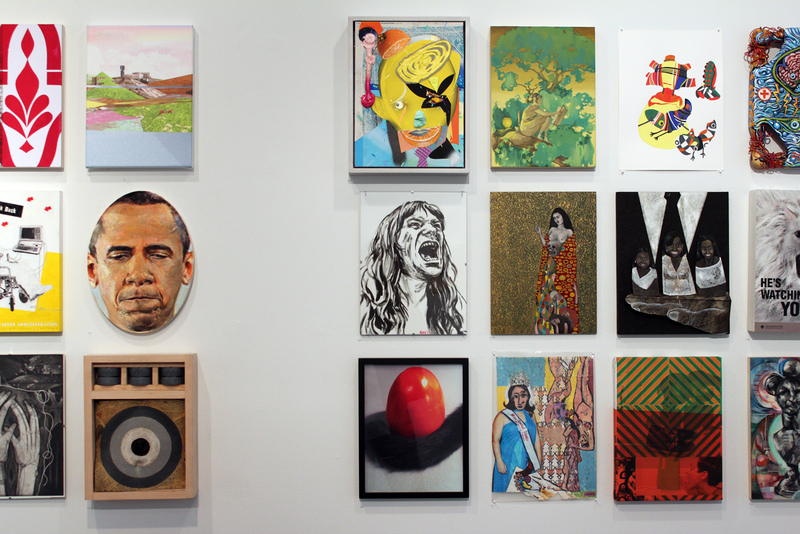 Installation view shows portraits of President Obama at left and an image of First Lady Michelle Obama with daughters, middle row at right. 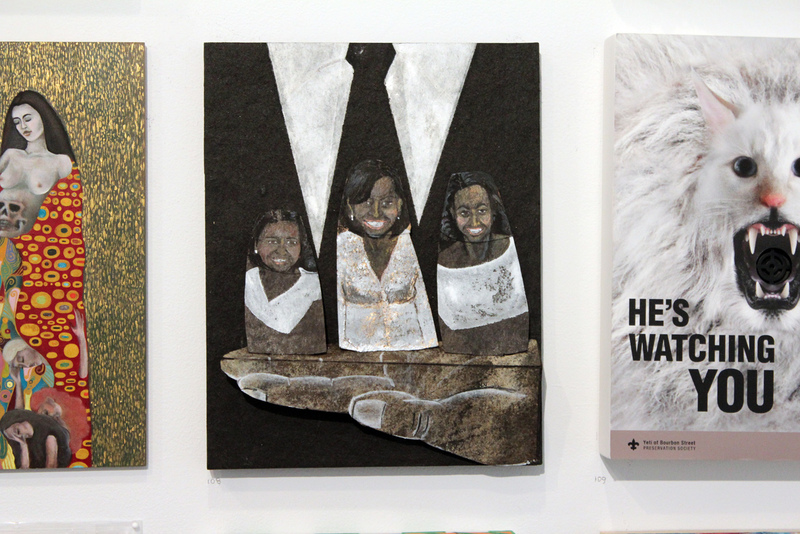 Center, Portraits of First Lady Michelle Obama with daughters Malia and Sasha by Brenda Garand (an interpretation of “LBJ” by Marisol Escobar). 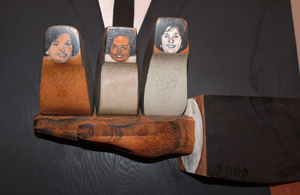 Detail and installation view of “LBJ,” 1967 (synthetic polymer paint and pencil on wood) by Marisol Escobar at MoMA was the inspiration for Brenda Garand’s portraits of Mrs. Obama and her daughters, shown above. 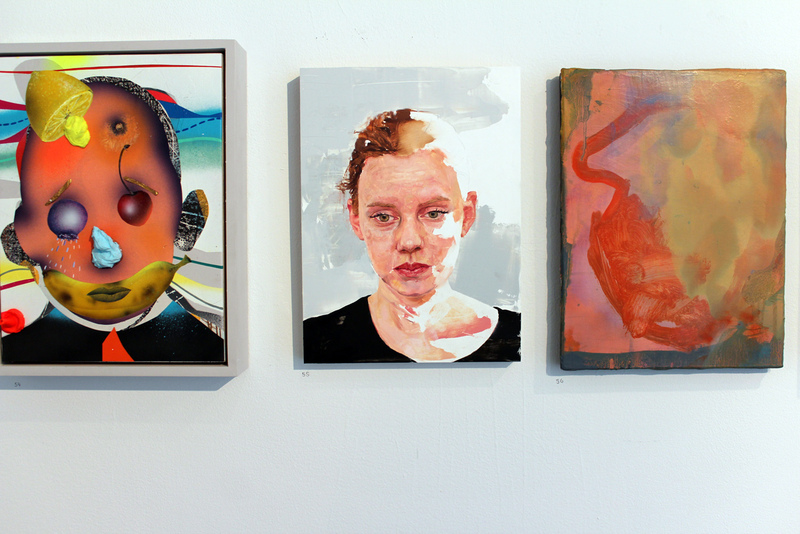 From left, Works by Chelsey Pettyjohn, Sanders Watson, Sto, Bronwyn Minton and Paul Corlo. 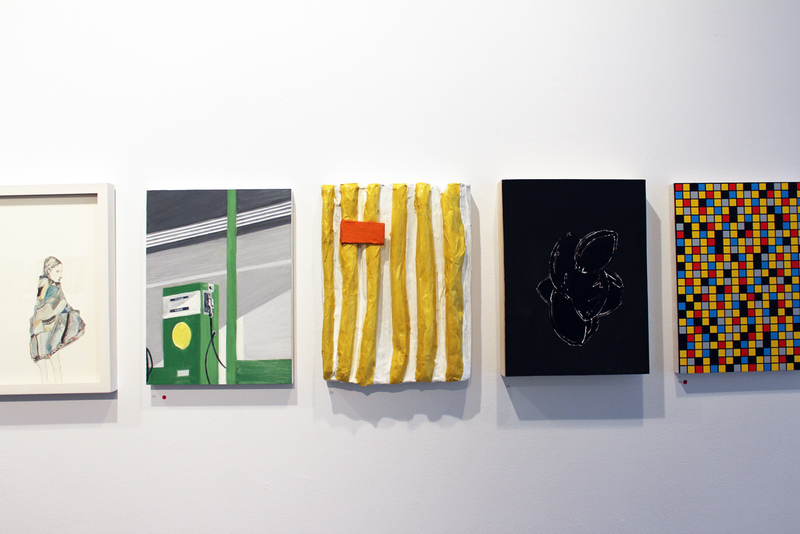 From left, Works by Clayton Brothers 1, Chang Park and Patrick Berran.